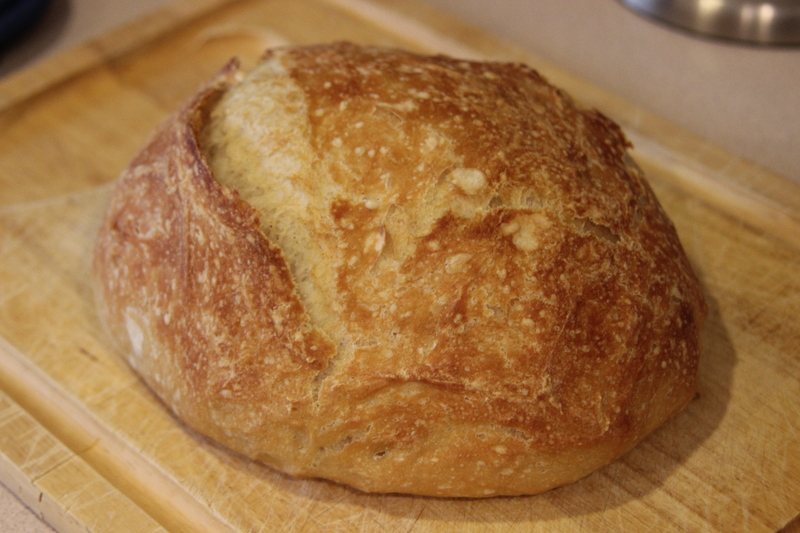 That the day would come that mydinnertoday would host a bread recipe is hard to believe. 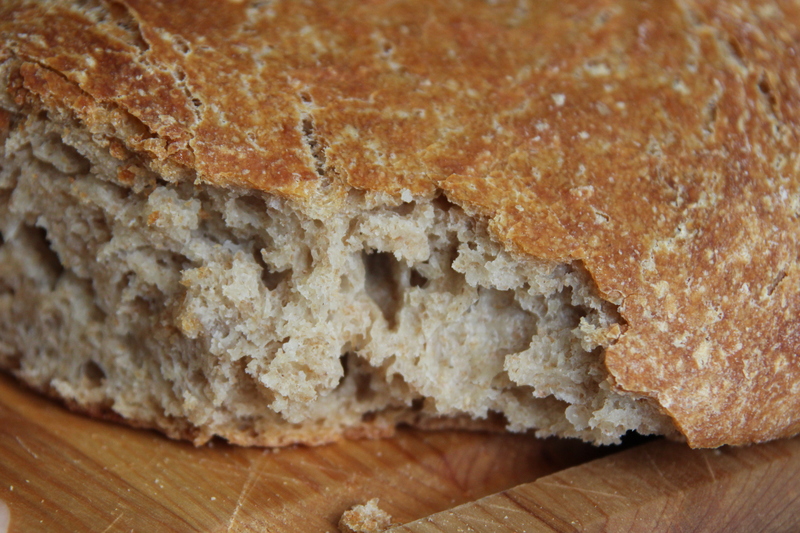 How can making your own bread be good for busy moms and dads? But it’s happening and there is a simple explanation. I found the recipe for bread that takes exactly 5 minutes of your time to make, including reading it. I made the first try today, on Father’s Day, with whole wheat flour and it came out perfect. Crunchy outside, soft inside. All you need is to keep some dry yeast at home. Credits for the recipe go to Alice Currah who posted the recipe on PBS’s kitchen explorers. How to make: In a big bowl combine all the dry ingredients and add the warm water. Mix until the flour is integrated. The dough will be sticky. Cover with cling film or foil and let the dough rest in a warm place until the next day. On the next day, line the bottom of a pot with parchment paper. I used our big soup pot. Use some flour to help you get the dough out of the bowl and put it in the pot. No kneading is needed. Cover the pot with the lid. Put in the cold oven. Bake at 450F/230C for 30 minutes. Remove the lid and cook for another 30 minutes. Ready! 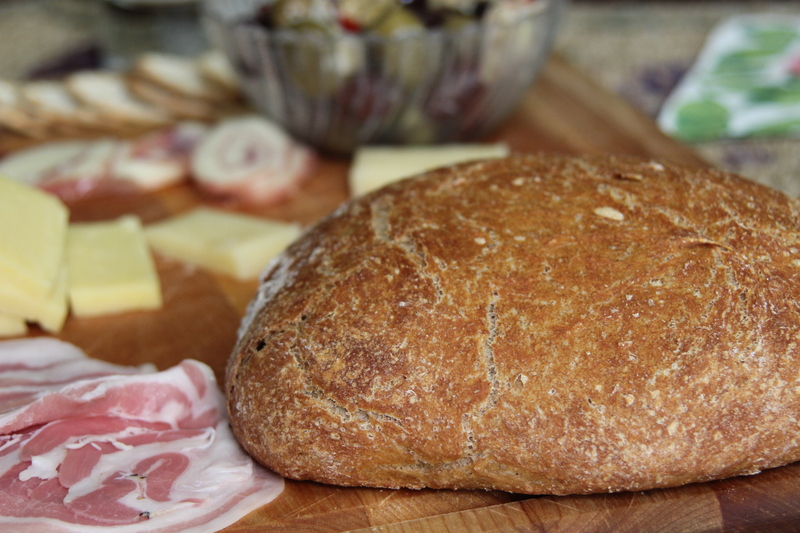 Here’s a photo of the same bread recipe made with white bread flour.